The “quirky but harmless” blog and podcast that’s all about northern plains: News, Comedy, Music, and Culture. Podcast Palooza! You’ve heard the saying about too many cooks, but does that rule apply to Podcasters? Apparently not! 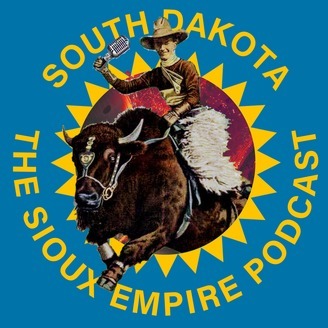 This week the Sioux Empire Podcast crew (Robert Mehling, Natasha Estes, and Seth Glover) welcome Travis Nye Magician, and co-host of Macabre Grimoire Podcast, White Boi, Comedian and host of the Perlocution Podcast, Jeni Mc, entertainer and Host of the Tactical Pain Podcast and co-host of Perlocution Podcast, and Podcast aficionado Matthew Livingston. Zany antics and madcap adventures in poor communication ensue. But first, Seth reads a short story teaser by local writer Melissa Rochelle May as part of his the Bi-Weekly book club. This episode is sponsored by Macabre Grimoire Podcast. Macabre Grimoire is a podcast of paranormal and mystery exploration. Psychic/medium Ari Show, magician Travis Nye, and historian Robert Mehling delve into the dark places where mysteries go unsolved, events go unexplained, and the line between legend and fact becomes obscured. Whether you’re a skeptic, believer or something in between, the Macabre Grimoire will change the way you see the world. Coming May 1st! Learn more at MacabreGrimoire.com. The Sioux Empire Podcast still isn’t sure what a Shillelagh is. Speaking of holidays, we’re taking Easter off, so next episode will be April 15th! 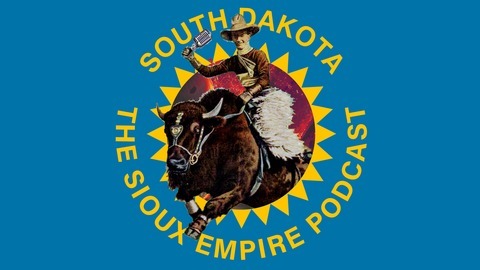 Please help support The Sioux Empire Podcast and the work we do to bring you local content.